Champion City Comics: CHAMPION CITY COMICS RETURNS MARCH 26TH! CHAMPION CITY COMICS RETURNS MARCH 26TH! 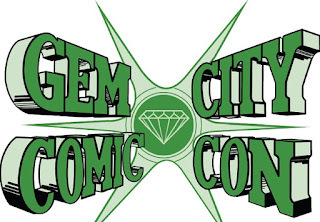 I have been getting ready for the 2013 Gem City Comic Con in Dayton, Ohio, and I have some cool stickers and flyers to hand out to people who meet me at the convention. Don't forget that I will be talking about writing and developing webcomics on Sunday, March 24, 2013 from 11:00 am until 11:50 pm (Berry Room 2 - Ervin J. Nutter Center). Champion City Comics will return on March 26th!